Ockers is holding it’s 1st Annual Food Drive. Anything you can do to help would be gratefully accepted. All of the proceeds are going to benefit the Father Bill’s and Mainspring organization which helps the homeless. 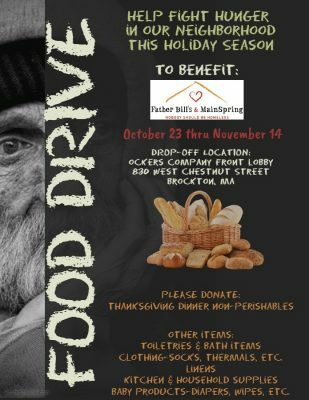 Help Father Bill’s & MainSpring support our friends and neighbors who need us most.